The city of Atlanta was first founded in 1837 as the end of the Western and Atlantic railroad line. It was born with its first name, Marthasville, in honor of Governor Wilson Lumpkin’s daughter, and eventually to Atlanta in 1848. The city was also nicknamed Terminus for its rail location, and then changed soon to Atlanta in 1848, which means the ‘feminine’ of Atlantic – as in the railroad. The city of Atlanta is not only the county seat for Fulton County, but is also the capital of the state of Georgia. It was named as the state capital on April 20, 1868 after it is incorporated as a city on December 29, 1845. Atlanta, since its beginning, is a fast growing city. Today, it remains as one of the most well-known transportation hubs, not just in the United States but in the whole world. The Hartsfield Atlanta International Airport is one of the country’s busiest in daily passenger flights. In fact, several direct flights to South America, Europe and Asia have transformed metro Atlanta easily reachable to the over 1,000 international businesses that have been operating in the city. Those flights are even what made the more than 50 countries that have representation in the city through consulates, trade offices, and chambers of commerce accessible. With all these developments, it’s no wonder that the city became a banking center and is highly considered these days as the world headquarters for 13 Fortune 500 companies. Two decades ago, Atlanta has undergone unprecedented growth. That time, the population of the official city remains suspended, at about 420,000. However, the metro population has grown in the past decade by nearly 40 percent, from 2.9 million to 4.1 million inhabitants. As the city had claimed, a good measure of this development is the ever changing downtown skyline, along with skyscrapers constructed in the Midtown, Buckhead, as well as the outer perimeter business districts. Since the late 1970s, dozens of incredible skyscrapers designed and developed by luminaries such as Philip Johnson, I. M. Pel, and Marcel Breuer have reshaped the city’s profile. Atlanta is now deemed as the Capital city of the southeast, a city of the future with strong bonds to its past. Atlanta, Georgia is a great place for visitors seeking a little culture. A myriad of great attractions can be found in the vibrant city of Atlanta. In the first place, it is the cultural center for the state with a wide array of arts available to the public. Top of the lists are the High Museum of Art, the Atlanta Symphony Orchestra and the Atlanta Ballet. There are Atlanta museums of all kinds, to interest adults and children. The city of Atlanta also prides a number of worldly acclaimed sports on the both the professional and collegiate levels. It is in fact the home of Atlanta Braves, Atlanta Falcons, Atlanta Thrashers, and Atlanta Hawks; all acclaimed and award winning sports teams. The collegiate level sports are available through the Georgia Institute of Technology, and it is here where the Peach Bowl during football season is hosted. Just like any other cities in the world, the city of Atlanta hosts a number of festivals, celebrations and parades. To mention, some of the well-known festivals are the Georgia Renaissance Festival, Black College Spring Break, Sweet Auburn Festival, the National Black Arts Festival, and the Atlanta Dogwood Festival. 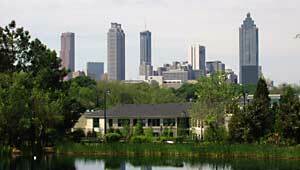 The city of Atlanta is also the primary to a number of great colleges, universities and technical schools. There is the Emory University, Georgia Institute of Technology, Georgia State University, as well as the Oglethorpe University that make Atlanta their home. Also, being a city open for all Americans, blacks or whites, the city of Atlanta has currently four historically Black colleges and universities that are centrally located. Included in the list are the Clark Atlanta University, the Morehouse College, Morris Brown College and Spelman College. In addition to the above mentioned Atlanta schools, it is also interesting to know that today there are two state managed technical schools in the city of Atlanta: the Atlanta Area Technical Institute and the Atlanta Metropolitan College. Private colleges also made Atlanta their home and top the list is the Art Institute of Atlanta, DeVry Institute of Technology, Beulah Heights Bible College, and Herzing College. For more than four decades, the city of Atlanta has been significantly associated to the civil rights movement. It was noted the Civil Rights leaders during the early days have moved forward, and they were the visionaries who saw a new south, which is the new Atlanta. With a strong belief in peace, individuals such as they Martin Luther King Jr. made monumental sacrifices for that peace, and it is them who are responsible for Atlanta’s rise. The Martin Luther King Jr. Center was even established in honor of his name. They have lifted the city into a fast-pace modern city which opened its doors to the victorious and successful 1996 Olympics. It is interesting to know that throughout the history of the city, the die hard Southerners view the place as the heart of the Old Confederacy. Because of this notion, Atlanta has become the best example of the New South – a fast-paced modern community that stood proud of its heritage. The old in new Atlanta is now well-known throughout the world as the soul of the city, the heritage that improves the quality of life in a contemporary community. It is further interesting to know that during the turbulent 60s, the city was known as “the city too busy to hate”, but today, in the 21st century, Atlanta is “the city not too busy to care”.